The process of heating metal and hammering it into a certain shape or design is called forging. This concept is not alien, forging dates back to 4000 BC and it’s still going strong. Forging as a process is the industry favorite practice to develop small and simple shapes which require high quality. As much you want to rely on forging there is always a scope of defects. The magic of modern engineering has miniaturized these possibilities of an anomaly in the forging process but still, it’s not bulletproof. Its safe to say forging is a near to perfect process only when paired with continuous monitoring and routine care of the machinery. 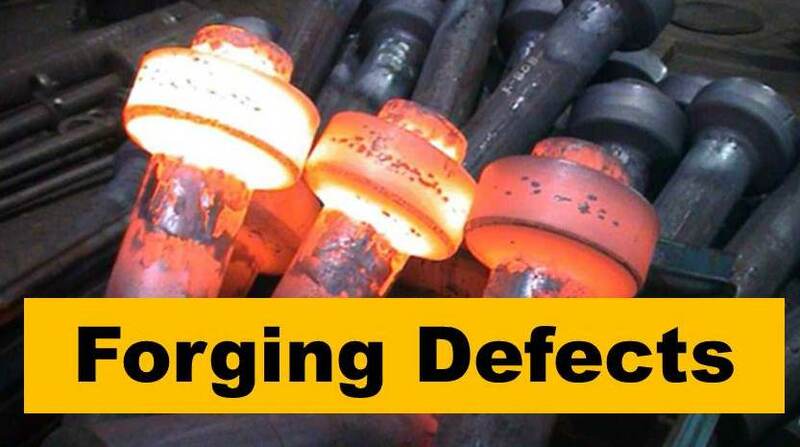 This is the key to non-defective forging, however, when ignored there can be a mushrooming of deformities in your forged product. Forging parts manufacturers report these problems in form of cracking, cold shut, laps and folds, unstable grain flow, and more. Putting high stress on the material is the primary reason for cracking though there can be other causes too. Uneven distribution of force can also cause cracking. This happens due to two major reasons, one, if there is more than required material in the mold and second is due to a poor die. This flaw occurs when there is a slight diversion on the usual forging path. This happens to due to compressive stress slightly shifting the arm’s trajectory creating a fold or lap. One could prevent this by regular calibration of the forging mechanism and making sure everything is intact and properly bolted. When you are welding two metals it is necessary to create a common boiling point where the two metals can be mixed. If this ideal state is not achieved then the result would be a cold shut which is actually an interception point of two metals. This point of contact becomes a visible line. Improper grain flow directly hits the rigidity your product. The situation can promote cracks or seriously hamper elements like strength, impact toughness, durability and more. This happens due to poor injectors or due to a lousy die. When a metal sheet in a freshly forged, the thin part is cooled quickly while the thick sheet remains hot and prone to distortion. New methods to quickly cool the parts have been adopted by the forging Manufacturer companies today. Now to obtain a flawless forging there are three things to consider. First to have a proper good quality die, second is to ensure interruption less material flow and last comes proper monitoring and maintenance of the machines.